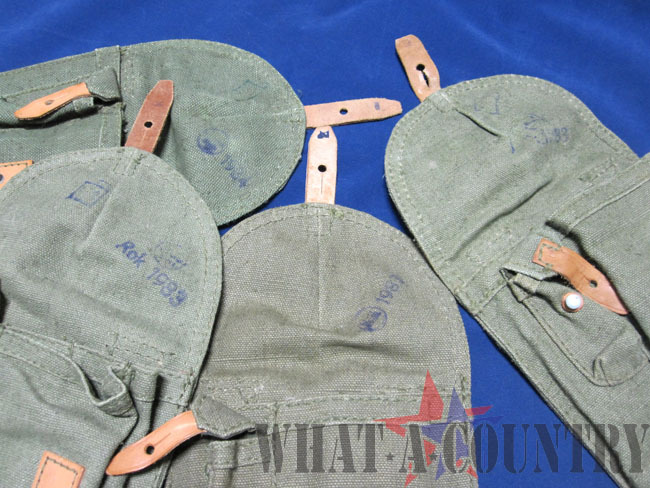 Original surplus, Polish military issue. 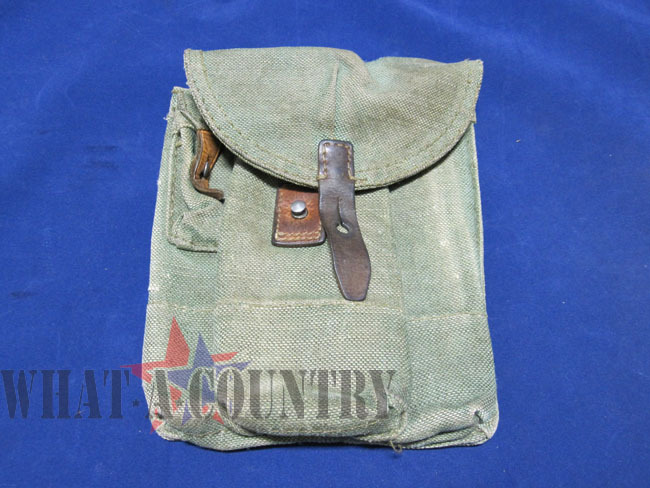 Pouch has 3 compartments and place for a cleaning kit. Holds 3 x 30 round 7.62x39 magazines. 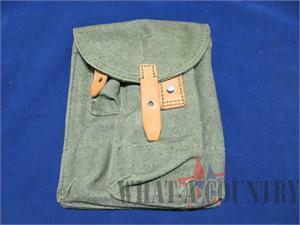 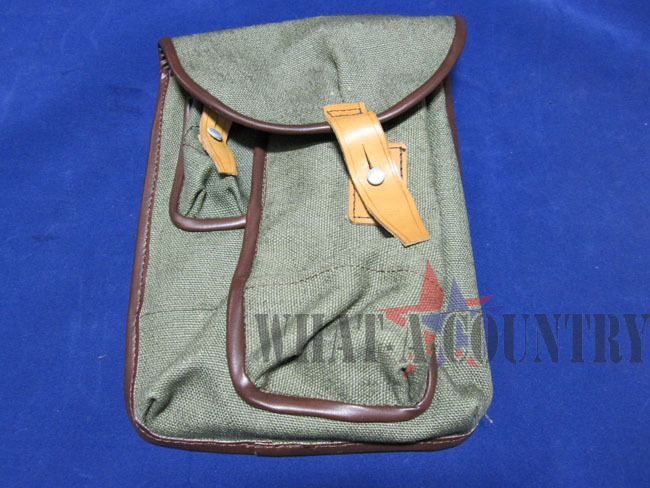 Used, OD Green Canvas, *at least one belt loop end needs reattachment via stitching repair.